Tripod and tripod head are relatively independent and interoperable components, the first user may be twisting together to get started, but over time, sometimes when installing the camera will lead to tripod head loose, do not pay attention to the entire tripod head will even With the camera fell to the ground, the heart is broken! So to remind everyone be sure to tighten the tripod head, and pay attention to the stability of the use. 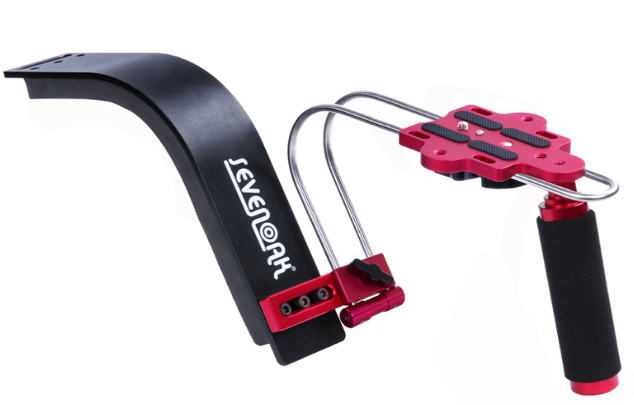 At this time a low-angle camera rig will solve your problem. And when you're using a video camera for a single homework, you need a more compact, better-suited, low-shot device that saves you time and effort. More importantly, when you are using the existing low-razor frame on the market, it takes a lot of tedious work to switch between the low-razor frame and the camera rig. Now, to create a new product to the introduction of the EasyLock Easy Snap-down low frame, allowing you to achieve between the camera rig and low-frame switch within seconds. In the novice's eyes, the camera rig is just an assistive tool that is not commonly used, and is bulky and heavy. If you go out shooting with a SLR camera, lens, flash, etc., it can be hard work and the camera rig will eventually be Long-term home, become useless. In fact, this is a big mistake, a lot of photos and effects also need camera rig to complete, it is not a photography "aids", but in learning photography is an integral part of the role with the body, the lens, flash The lights are just as important! Now let the author explain what camera rig can do for us, what can be shot! In addition to Selfie handheld backhand self-timer, we can also mount the camera on the camera rig with a timer, so you can make Selfie has more games: wide angle, high / low shooting, remote shooting can also be achieved one by one! Sunrise / sunset Although it is against the sun, the most beautiful moments are Magic Hour before and after sunrise and sunset. At this time, the sky is not full of light. The camera rig ensures that the photos are sharp and sharp, and good photos are taken. Tracks often take tens of seconds or even minutes of time, but also to use black cards and other tools, without a camera rig, the filming will bring great difficulties!